advocating the proliferation and practice of non-technical skills in healthcare. 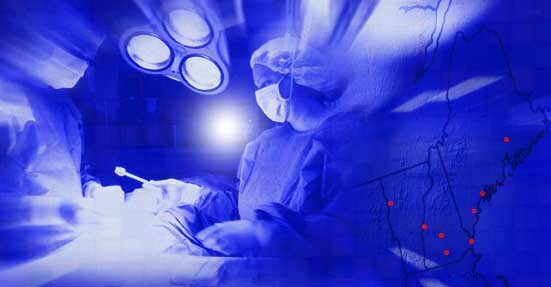 is a collaborative group of medical professionals advocating patient safety in the operating room. At the STRATUS Center for Medical Simulation, Brigham & Women's Hospital in Boston. Lab research is on developing nontechnical skill assessment tools, studying the impact of nontechnical skills on performance, and improving behavior through training and education curricula. Key contacts are Dr Steven Yule, Dr Douglas Smink, Adrianna Crowell-Kuhnberg and Dianali Rivera-Morales. Expert group at the Industrial Psychology Research Center led by Professor Rhona Flin – where NOTSS was developed along with other behavior assessment tools for high risk industries. Home for NOTSS Masterclass and international courses to teach nontechnical skills. NOTSS is represented in the Patient Safety Board. Key contacts are Mr Paterson-Brown, Dr Nikki Maran, Mr Craig McIlhenny and Prof George Youngson. Collaborators on NOTSS research in the North America. The Division of Education has sponsored a NOTSS course at the annual Clinical Congress since 2013. 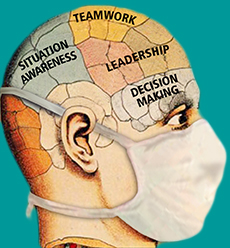 NOTSS is part of the competency framework for surgeons in Australia and New Zealand. NOTSS workshops are run regularly around the region by local faculty. The Mission of the Rwandan Surgical Society is be the premier society of surgical health, committed to the welfare and education of surgeons, research, access as well as advocacy among surgeons in Rwanda. We have been partnering with them to develop and implement non-technical skills training in the region. A regional consortium of eight institutions that maintains registries for all patients receiving coronary artery bypass grafting (CABG), percutaneous coronary intervention (PCI), and heart valve replacement surgery. Collaborators on NOTSS research in solving challenges of performance and safety in the cardiovascular OR and in cardiology.